Pride Go Chair Wheelchair Review – Could It Be the Top Choice for You? Having a wheelchair is invaluable for each person with impaired mobility as it provides a great deal of independence. However, when you invest in such an item, you realize that you need additional devices to make full use of it. Among these, you will find the wheelchair ramp. People who have stairs in their home will most likely require a stair climber too. I know how hard it is to shop for such items. That is why I decide to put my individual research to good use and present the best wheelchair ramps and stair climbers that I’ve discovered. Don’t expect to find simply a list of products, however. I’ve written a review of the best wheelchair ramps and stair climbers that I’m sharing here. 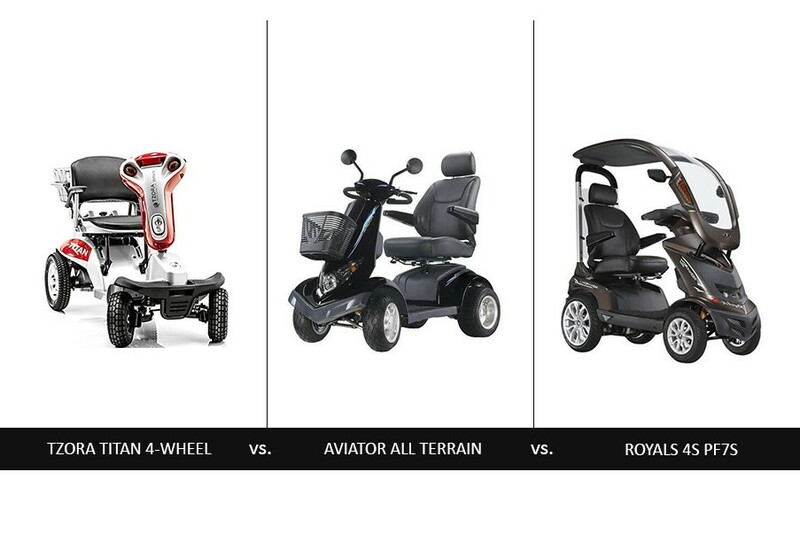 Use the detailed and objective evaluation of the products to decide which one would be ideal for you. This wheelchair ramp is suitable for both four-wheel wheelchairs with classic or more modern design and for three-wheel scooters. 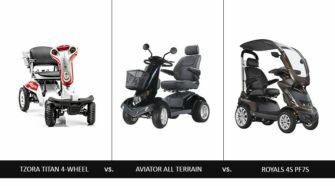 You can readily use it with power mobility devices like LITERIDER Envy GP162 or the Drive Medical Cirrus folding power wheelchair. It is 5 feet long, with the length being perfectly sufficient for home use, in my opinion. The capacity of the Rage Powersports WCMF-5 ramp is 600 pounds, so it will support perfectly not only the person in the wheelchair but also the caregiver pushing it if there is one. Another key factor to consider is that the ramp works for helping wheelchair users move from one surface level to the next when the elevation between the two is no greater than 10 inches. You should take down measurements of the areas where you plan to use this one of the best wheelchair ramps to decide whether it could meet your needs precisely. This model folds compactly for storage. When folded, it measures 35 by 16 by 9 inches. Given this, you can easily store it indoors and transport it in the trunk of a car. This is incredibly convenient and makes Rage Powersports WCMF-5 one of the best wheelchair ramps for people who travel frequently. Aluminum made – The ramp is very strong and highly resistant to corrosion because of its construction. You can expect it to do a good job and last for a long time to come. High-traction surface – You should not worry about the wheels of your wheelchair slipping even if it rains outside. The traction is excellent and you should not expect it to diminish with time. Carrying handle – This is a very practical feature to have. The handle is comfortable to hold and quite durable too. This model is one of the best wheelchair ramps because it combines functionality with reliability. Being able to take it with you when you travel is a huge advantage, in my opinion. 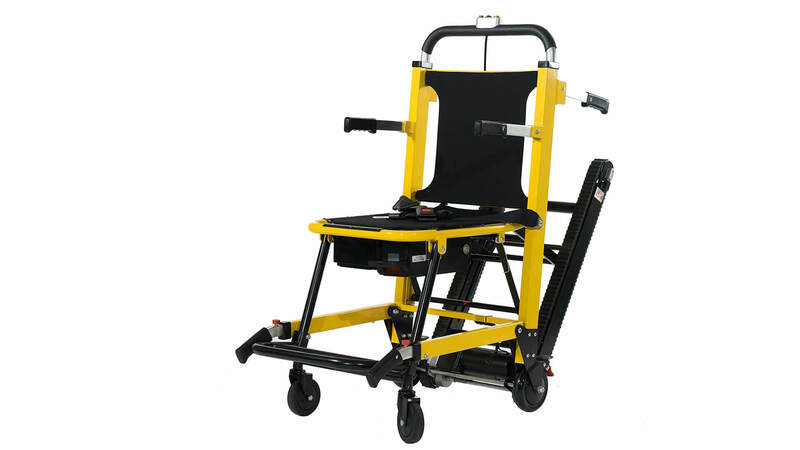 With a capacity of 500 pounds, this carrier with ramp by Prohoists is suitable for virtually all mobility scooters and wheelchairs. The platform measures 46.5 by 28 inches and has a rail which is 4 inches high. You should have no trouble fitting even a larger and taller power chair like Pride Mobility JAZZY600ES, for instance. 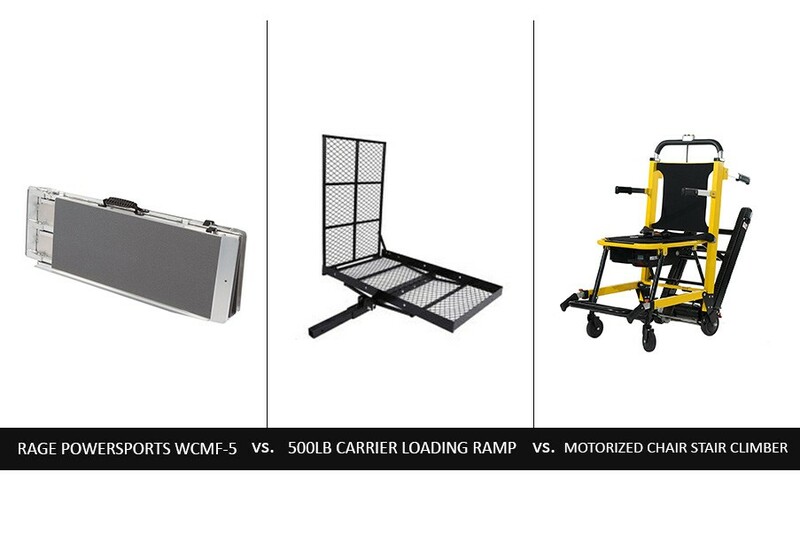 It is worth noting that the carrier is designed for all kinds of vehicles, from cars to SUVs and trucks. 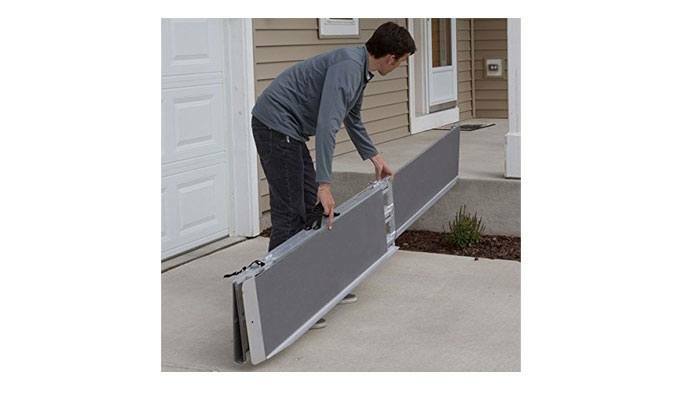 The 5-foot ramp makes loading and unloading the mobility device easy and quick. The inclination has been carefully calculated to minimize the effort that you have to put in. This explains why this is one of the best wheelchair ramps available on the market right now. Generally, the ramp serves as a fence which helps to keep the transported wheelchair in place. You can easily tilt the carrier upward and lock it in this position. 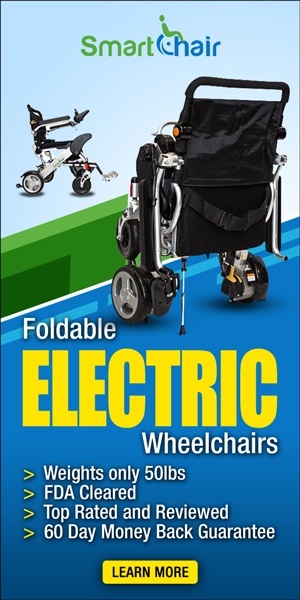 Thanks to the compact folding, you don’t have to detach it when you don’t transport your electric wheelchair. This is very convenient, especially in case your family uses the car for multiple purposes. Made of steel with powder coating – Strong make is what you can expect from all of the best wheelchair ramps. What’s more, the coating protects the metal from rust caused by the environmental conditions. Given this, you can expect the device to last for a long time. Padded hand cut-outs – It’s true that the padding is actually made of rubber, but these cut-outs make the folding and unfolding of the ramp and the tilting and locking of the carrier much more convenient. You won’t have to wear gloves. Anti-wobble device – It is designed to make the connection between the carrier and the hitch much stronger. This, in turn, helps keep the wheelchair steady during transportation. 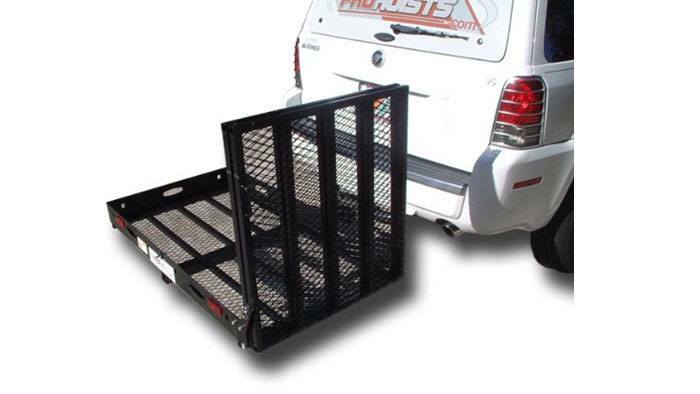 Keep in mind that given the capacity of the carrier, it works with a Class III 2-inch hitch. This device is one of the best wheelchair ramps and does its job exceptionally well. If you have a large power wheelchair which doesn’t fold, it could be quite useful for you. If you think about it, this motorized chair stair climber has the same function as the best wheelchair ramps. It makes it possible for a person with limited mobility to go up a flight of stairs with very little effort on the part of the caregiver. The device has a capacity of 500 pounds, even though it weighs just 56.5 pounds, so it’s suitable even for people who cannot climb stairs because of obesity. Metal frame – It is strong and resistant even to the most powerful accidental hits. Rubber track – The traction between the track and the stair surface is excellent because of the rubber, no matter what the make of the stairs is. Locking hinge mechanism – The chair won’t fold accidentally while it is in use. Front swivel wheels – They are very small measuring just 4 inches in diameter, while the rear ones are 6 inches in diameter. Their job is to make maneuvering the stair climber in tight spaces easy and they do it perfectly. The motor is completely dependable and so is the transmission. You will be happy to learn that this electric chair stair climber is equipped with electronic speed-control limits and an electronic brake for maximum safety during ascending and descending. The lithium-ion battery will die out only after the device has climbed 100 flights of stairs. It is more than dependable. When you are considering the best wheelchair ramps and stair climbers, this model stands out with its motorized action, making the job of the caregiver a lot easier. To make the right choice for you, consider your individual needs. Among the best wheelchair ramps and stair climbers, there are fantastic options for those who travel a lot and for those with stairs at home. For more information and reviews, go to Amazon.